Srixon leads their latest “Z” offering with some bold statements against their competition. Pitting ball speed vs ball speed against some of the biggest names in the industry, Srixon commissioned a test that had their Z 785 driver leading in overall ball speed by a fairly strong number. 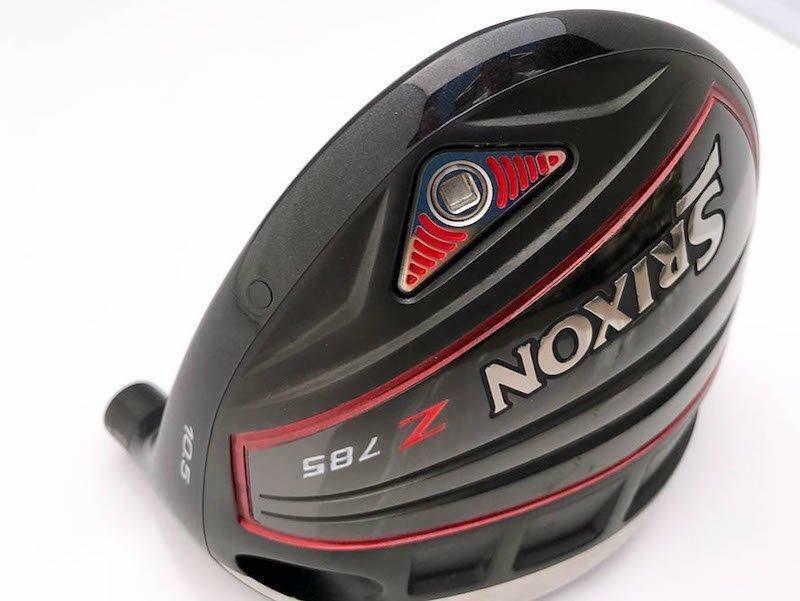 At first glance, it might seem like a bold claim for a club that only changed one number from its predecessor (Z 765) but in reality, there are some substantial changes this year that lead to a more effective and competitive driver head. I had an opportunity to take a long look at the latest driver offering with multiple shafts and came away with plenty of thoughts. It really was a sweeping change to the 765 iteration of the Z series. A wave sole, unique weld, and traditional crown were some of the major highlights of the former model, all of which have improved (some more dramatically than others) to not only keep up with the competition, but inspire interest from golfers seeking performance both visually and on course. It is also worth mentioning that Srixon took the head from a 445cc head to a 460cc head for the Z 785 release. The cup face design returns for 2018, but with a different look and material. Where previously a chrome finish was applied to the face, the Z 785 driver has a black finish on the Ti5AF face. Defined as being stronger and lighter, the expectations for ball speed to increase rest predominately on this design. 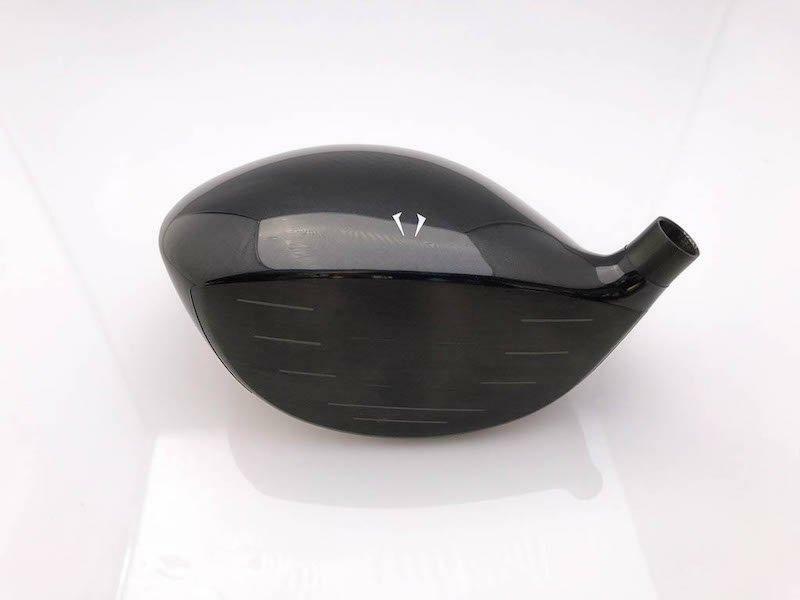 As far as visualization goes, because so many drivers have transitioned to the black face, it was visually much more pleasing to look down at that finish behind the ball, whereas a chrome finish would feel like I was using a driver that was a half-decade or more old. Going from a bit of an exoskeletal or web profile in the crown to a lighter weight carbon crown is a big change. That weight can be better suited on the perimeter of the sole to support forgiveness and provide greater freedom in weight allocation. Once again, a technology that is becoming highly utilized by many companies, and welcomed here as well. With all these changes in mind, seemingly the biggest visual change is in the sole. The power wave profile is still present in a more compact and subtle presentation, while also allowing for a series of small channels directly behind the driver face. There is little verbiage on how that is benefiting the performance of the head overall, but it seems like a fair assumption once again to think that weight is being allocated to places more appropriate to support effectiveness and optimal numbers. 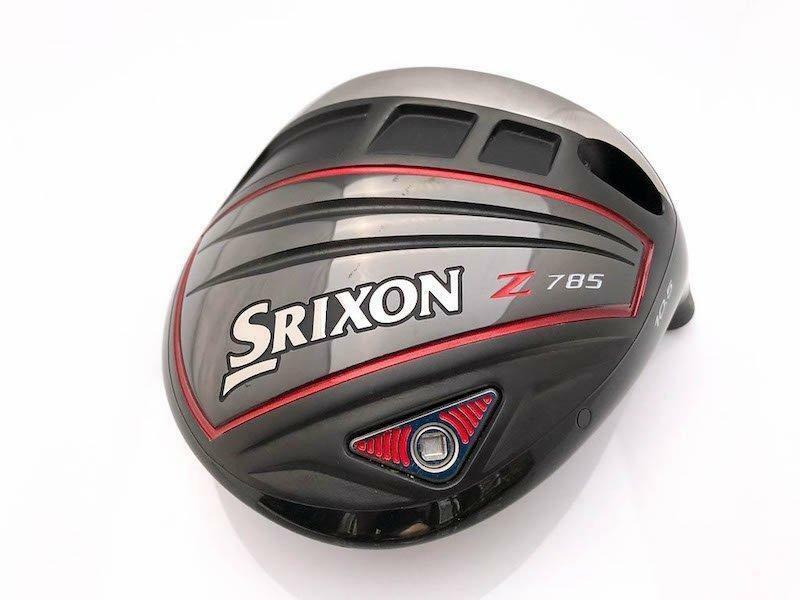 Much like the last driver series, Srixon has included a removable weight in the back of the Z 785 driver, one that can be interchanged with weights ranging from 4-12 grams, which can also be acquired if the swing weight feels off. On the performance end of the spectrum, there was great concern of there not being enough spin to accommodate a large percentage of the golfing population based on the last iteration. Throughout the testing between two shafts that have intentions of supporting spin reduction, there was plenty of spin to be had. As a high spin player, I feverishly look for a setup that can plummet my spin numbers below the 3,000 rpm threshold, and anything in the 3,500-4,000 range is what I would consider a ‘low’ or ‘average’ spinning head. 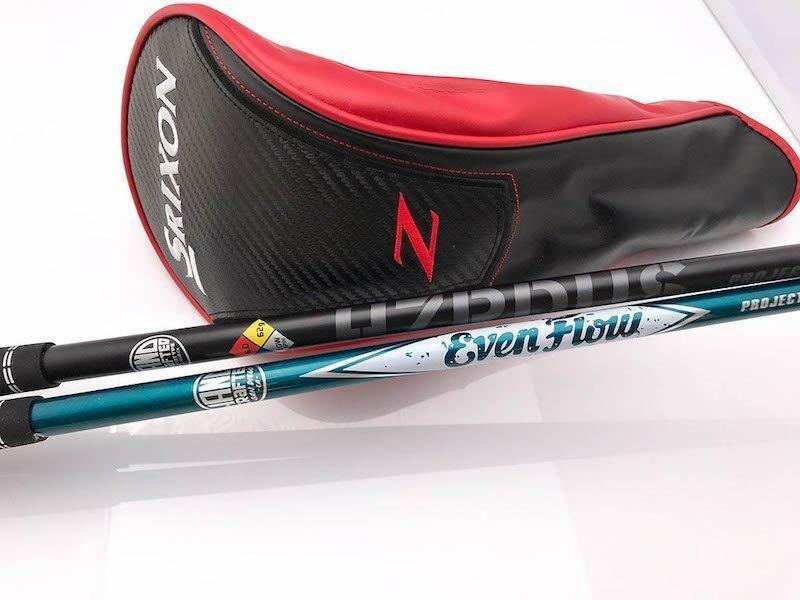 Based on the fact that GC2 pretty much consistently had me around the 2,950 range with HZRDUS Black and 3,200 with Even Flow Blue, I think that most golfers will be able to place this head in the ‘reasonably low but not unfairly low’ spin spectrum. I am fairly certain with shafts slightly more optimized to match my gamer, it would accommodate my spin enough to maximize distance, which is highly appealing. With that said, I believe that this could fall into the mid spin category with the right shaft, giving hope to those golfers who want to enjoy a quality head but do not have spin to give. This seems like a fantastic opportunity to discuss the high quality of shafts that are available at no extra charge when ordering through Srixon; Handcrafted HZRDUS and Even Flow options from Project X, Tour issue Atmos shafts from Fujikura, Miyazaki, UST Helium, and the recently popular Tensei in both blue and orange from Mitsubishi. A really interesting story with this is that Srixon is the only company offering Project X Handcrafted shafts as a stock no-upcharge option. It is a fantastic collection of shafts that will range from low to high in both launch and spin categories, providing golfers with plenty of freedom to select the kind of results they are looking for at the onset, rather than chasing these high end shafts elsewhere. During the testing phase, it did take me some time to really find the center of the face between the slightly different head weight and shaft length vs my current setup. The knowledge gained during that process was how supportive extreme toe contact could be, with gear effect taking a pretty heavy toll on my confidence early on. As I began to find the center of the face, the ball speed improved slightly, but not dramatically, making me think that these ball speed claims are not just on the center of the head. It is without a doubt a head that is best hit on the button, but distance losses are not catastrophic as you depart the center of the head. The sound profile is a hint metallic on the toe side high, but it does seem to blend a bit better as you drive closer and closer to the middle of the head. Srixon is living in a bit of a world of their own right now with so many of the popular brands driving into that duller muted sound, but I think it adds a bit to the individuality that Z 875 has. While I have certainly seen (or heard) some heads that are downright offensive to the ears, this head is right on the appropriate end of the sound spectrum to not offend or upset, but alert when struck well (and hard). The Ti51AF face at work. To the ball speed claims, it was put to the test with a couple golfers, myself included, and came up a bit lacking overall in terms of defeating current setups – But it was almost always on par with gamers which is pretty telling. Makes me wonder if some extra reps would lead to improved numbers over time, but that is a conversation that will be well told by the THP Community over time. To the claims on accuracy, I would argue that for a tour style head it is actually quite fair. The last full stint on the GC2 showed very marginal offline numbers, with the maximum being 26 yards offline and the overall average being 3.3 and 0.3 yards offline. Very impressive, very tight numbers. A clear fairway finder during that session. To wrap up thoughts on the Z 785, I am feeling confident that Srixon has introduced a technologically improved head that is going to be far more accommodating to a lot more golfers in late 2018. With well positioned weight, a highly adjustable adapter, and extensive high end shaft options, it seems realistic that most golfers will find a setting/pairing that suits them well between the 785 and 585. It feels like Srixon is visually able to tell a technological story as well as the rest, and has tests to support the effectiveness of their build. For more information on the latest driver release from Srixon, visit www.Srixon.com. Dan, great write-up, I cannot wait to give this driver a try! Great review Dan! Love the shaft options with this offering. It’ll find my bag at some point this year or next. Very solid review Dan. As you stated, the OEM claims will be tested and reported on over time. Looks and sounds like a solid big stick option. Great review!!!! I think it is a great looking head. Thanks for the review, Dan. I’ve been anxiously anticipating the review on this one. Sounds like the Z785 can be dialed in quite nicely with a fitting and could really offer some great benefits to me. I’ll definitely be checking this one out, I loved what I heard from people using the Srixon driver last year. Oh….and throwing in Handcrafted PX shafts at no extra charge is AWESOME! Great work as always!! Hmm… interesting option. Seems everyone has gone to a 460cc head design now. Looks good!